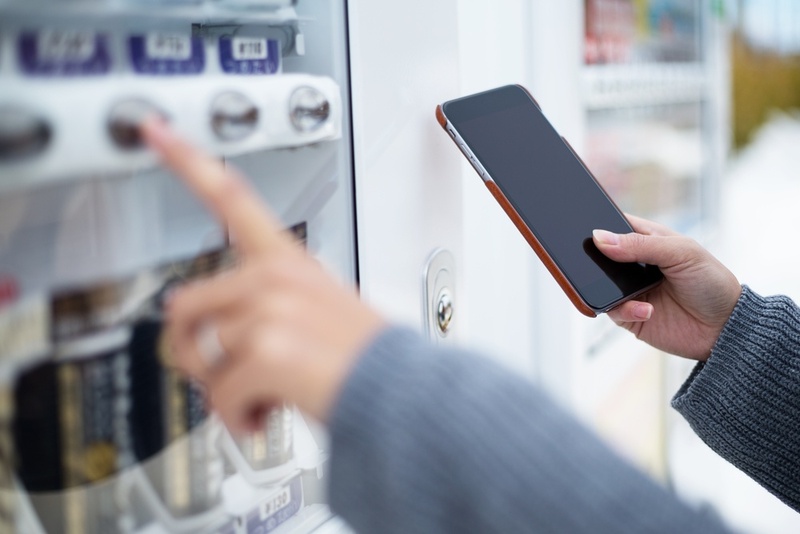 From cupcakes to hamburgers, we've mentioned a variety of unique products sold in vending machines before on our blog. But recently we came across the sort of high-tech machinery typically reserved for futuristic movies, so we naturally had to share it with you. It's hard to make a proper introduction for something so sophisticated, so we're just gonna say it: a baguette vending machine. That's right. This is in real life. Located at the Stonestown Galleria in San Francisco is a vending machine that will give you a warm baguette in exchange for money. And here's the thing: it's fresh. So fresh that it beat a local bakery in a blind taste test. What a world. But just in case you're not in the mood for bread, FoodBeast recently debuted a vending machine that dispenses cup noodles. While it's not an entirely new concept, the way in which you purchase your noodles is: you get them in exchange for an Instagram post. Says Foodbeast: "Just post a photo with the machine using the dedicated hashtag it shows you on screen, and the prize is yours." In "robots are taking over the world" news, the Metropolitan Transportation Authority (MTA) in New York is looking to install vending machines in subway stations. The report comes amid a decline in spending on the human-run convenience marts pushing magazines, newspapers, and snacks on passengers. Think vending machines are only good for snacks and drinks? An artist is selling his artwork out of one. Dallas-based artist Matthew Brinston conceived the idea to help make his work more accessible since some people "get intimidated by the gallery scenario." Brinston's art vending machine sells prints, his small paintings, and packs of gum. For those who enjoy the healthy benefits of a good fruit smoothie but don't enjoy making them, Coca-Cola's brand Simply Beverages has the solution: bottled 100% fruit smoothies. Perfect for when you're on-the-go. Three flavors are now available in grocery stores nationwide. They include, Strawberry Banana, Mango Pineapple, and Orchard Berry.